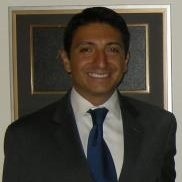 The IAVA DC Team has a motto: ABA (Always Be Advocating). The saying of course is a variation of “Always Be Closing,” which was made famous in the movie classic Glengarry Glen Ross. What ABA means to us is that no matter where we are, or what time of year it is, we will always relentlessly advocate for our community of Post-9/11 veterans. The 114th Congress is coming to a close and we are proud we have stopped $4 Billion in GI Bill cuts, protected reenlistment bonuses from being clawed back from thousands of California Guardsmen, improved suicide prevention programs at VA and ensured that the Fairness for Veterans act is passed into law. As the picture below shows, Congress is pretty much dead right now. 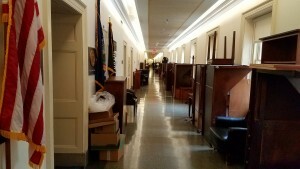 Members are moving offices and the retiring and defeated are making way for the newly-elected. Even now, though, the IAVA legislative team is hard at work advocating for our community. 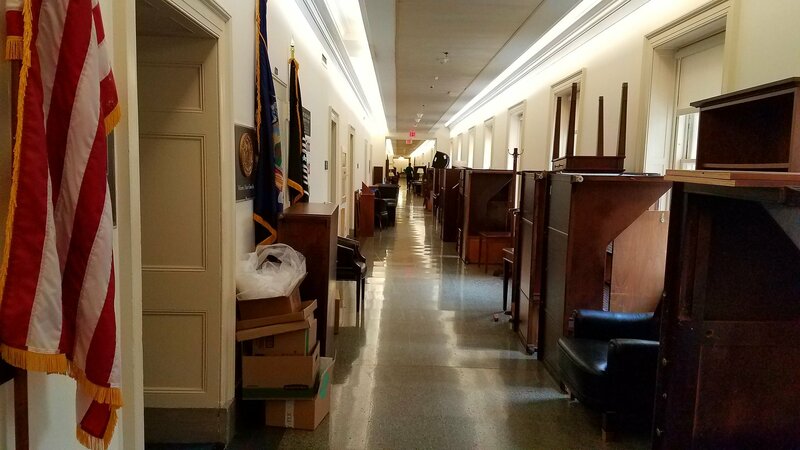 We’ve met with several offices to coordinate on IAVA priorities going into the 115th Congress, and we have engaged with staffers that have landed jobs with new Congressional members. Many on Capitol Hill and in the veterans community have serious concerns about who the new VA Secretary may be and what plans that person may have for Post-9/11 veterans issues. Accordingly, IAVA Founder and CEO Paul Rieckhoff recently published an opinion column for CNN calling out President-Elect Trump for not prioritizing the nomination of a new VA secretary and for not yet having met with any leaders from the leading veterans service organizations. That article can be found here. This year’s fight for Post-9/11 veterans issues comes to a close, we’re eagerly getting ready for the next one. IAVA will “Always Be Advocating” on your behalf!